Today I’m loving … these storage jar with lids painted with chalkboard paint. 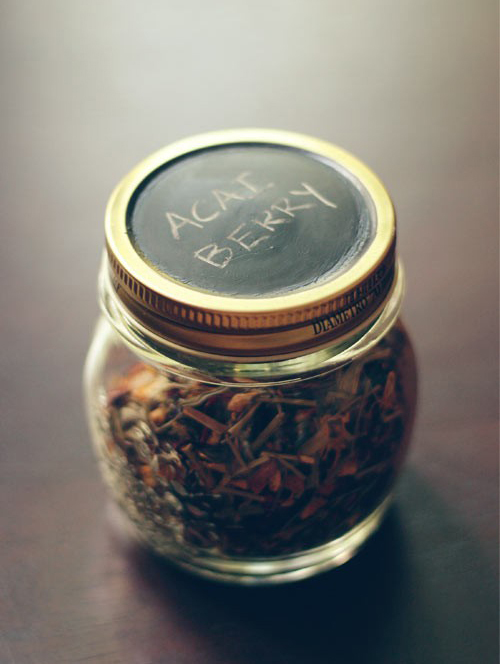 This way you can easily label and relabel the jars. It’s a simple diy project: get some jars and apply a coat of primer on the lids. 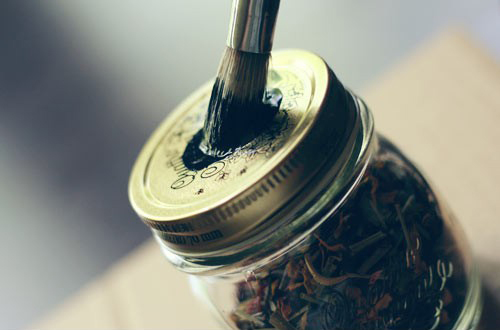 Then apply the chalkboard paint and voila, your jars are ready! This is brilliant for all those one-and-done canning lids–thanks! what a great and simpple idea… and maybe it doesnt’t even have to be black… it could match the color of its content.